LIUMY LM2001 emphasis on functional combination for field testing process, not to replace the meter. It reflects the high-tech, using a dedicated chip has, as the wave function, you can view the waveform signal 10KHZ within. Features include DC/AC voltag /current, resistance, capacitance, frequency, diode / continuity test. Can be home, school, power plant, work area has excellent performance! 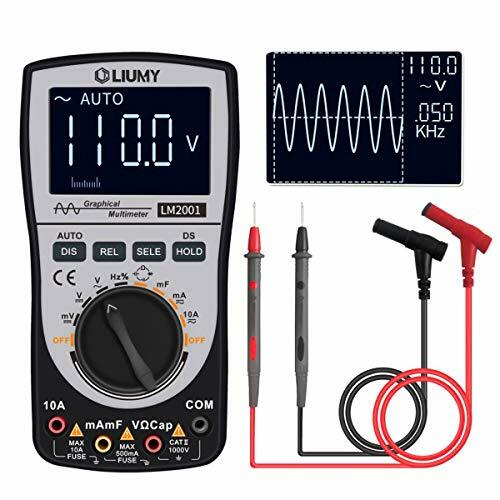 As a large number of measuring instruments waveform, you will find LM2001 is the most affordable one, spend the price of a multimeter, you can have a table can be seen, as the wave of the waveform, value for money! 200K SPShigh-seed A/D data collecting, high sampling rate and high bandwidth, one-key transform to waveform function furing measuring.Improve work efficiency. DC voltage 0 ~ 1000V, AC voltage 0 ~ 750V, DC/AC Current 0 ~ 20A, Resistance 0 ~ 20M , Capacitance 0 ~ 20 f, Frequency 0 ~ 200KHZ, Diode / Continuity Test, Remote control test, Transistor amplification test to meet all test requirements. 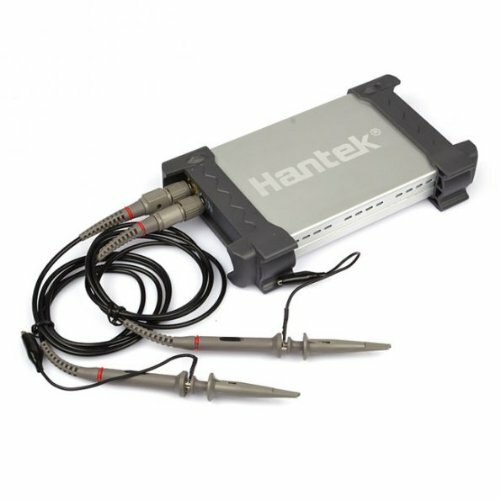 Dedicated Chip, the automatic waveform capture function, easy operation. The software calibration technology, memory calibration coefficients. Measure more accurately. Analog broadband range up to: D AC ~ 10kHz, Display hold, storage / readout up to 5 waveforms and 100 sets of measurement values. 128X64 high contrast LCD with LED backlighting. Suitable for working at night. Built-in 500V/20A explosion proof fuse, 20A AC and DC test. Can choose to automatically shutdown or continuous operation, applicable to the workplace such as family, school, and factory. Protect safety. 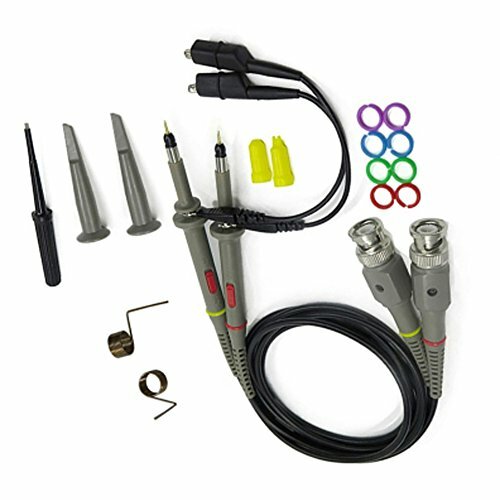 For oscilloscopes with bandwidth up to 100 MHz, durable modular construction, coaxial design with coaxial REED switch, accessory Pack included 1 screw driver 8 marker bands 4 tip locating sleeves 2 mini alligator clips and ground leads 2 interchangeable probe clip tips. 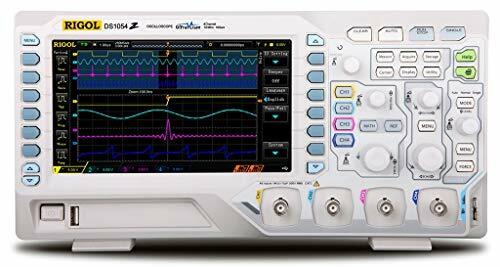 The Number 1 Selling Oscilloscope 4 Years Running! 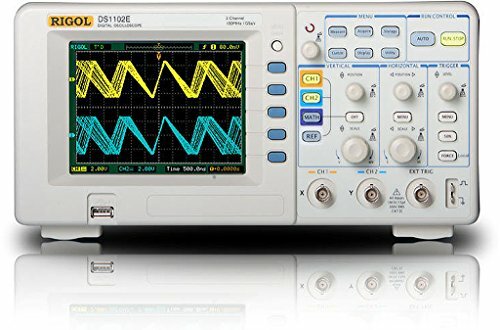 The SDS1000X-E series employs a new generation of SPO (Super-Phosphor Oscilloscope) technology that provides excellent signal fidelity and performance. The system noise is also lower than similar products in the industry. It comes with a minimum vertical input range of 500 uV/divan innovative digital trigger system with high sensitivity and low jitter, and waveform capture rate of 400,000 frames/sec (sequence mode). The SDS1000X -E also employs a 256 -level intensity grading display function and a color temperature display mode not found in other models in this class. 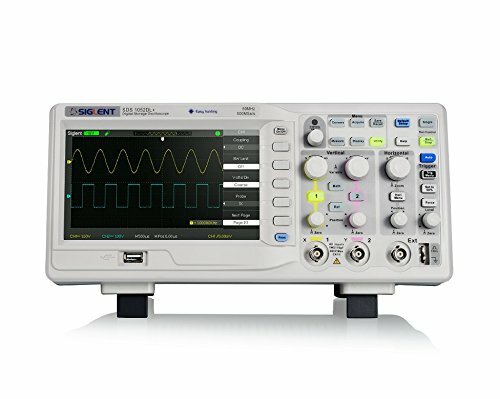 SIGLENT s latest oscilloscope offering supports multiple powerful triggering modes including serial bus triggering. Serial bus decoding forIIC,SPI,UART,CAN,LIN bus types is included. The X-E models also include History waveform recording, and sequential triggering that enable extended waveform recording and analysis. Another powerful addition is the new1million point FFT math function that gives the SDS1000X -E very high frequency resolution when observing signal spectra. The new digital design also includes a hardware co -processor that delivers measurements quickly and accurately without slowing acquisition and front-panel response. 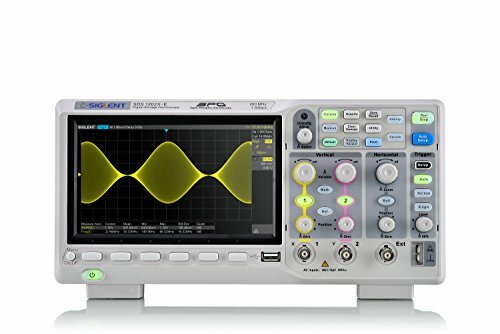 The features and performance of SIGLENT s new SDS1000X -E cannot be matched anywhere else in this price class. 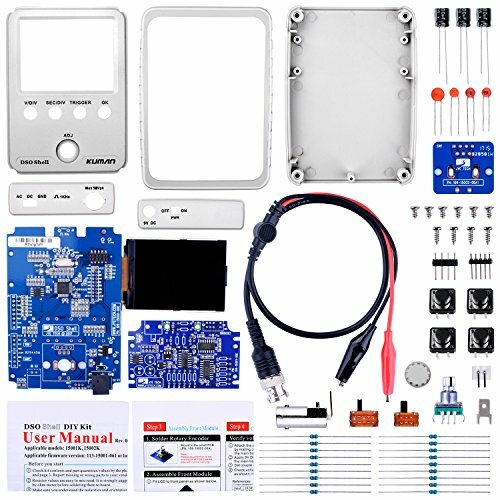 The four channel series includes even more functions, including: searching and navigating, on-screen Bode plot, 16 digital channels(Option), an externals powered 25 MHz AWG module(Option), a USB WIFI adapter(Option),and an embedded application that allows remote control via web browser. an aluminum alloy finish, the DSO212 is sleek, compact, and incredibly powerful for its size. Note: Please use the supplied power cord which has been certified for your country/region. Color Display: The bright color display presents any measured AC current, including sine, square, sawtooth, and triangle waveforms. Simple to Use: Operation is simple and easy, using taps and swipes much like any smartphone. Portable: Its small form factor conveniently fits inside any pocket so it's always ready when you need it. Easy Saving: The built-in 8 MB flash storage makes saving and transferring waveform images easier than ever. 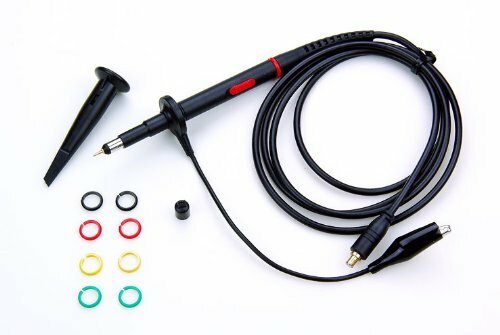 Oscilloscope probe is an electric component that connects circuit-under-test and oscilloscope input. 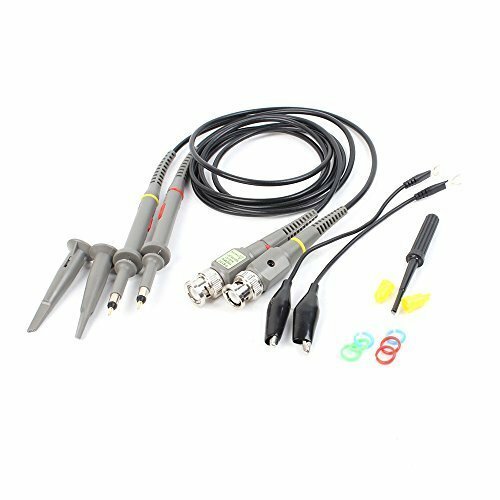 Adopting completely new material, this oscilloscope probe is of high quality. Besides, superior material and high technology enhance its hand feel and strengthen its structure. Smooth surface is comfortable to use. 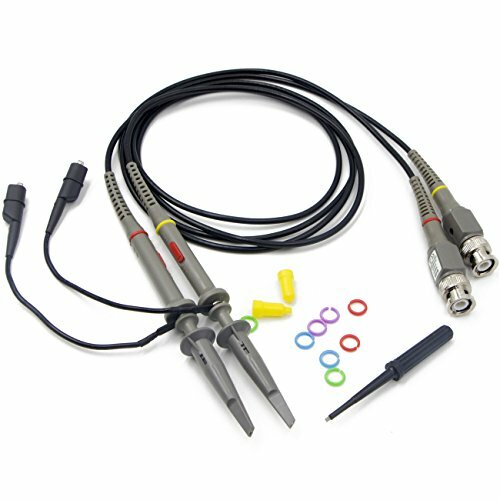 In addition, this probe adopts injection molding style ground wire for prolonging its service life and ensuring reliable contact. Believe in it and it will provide you with stable and excellent performance. 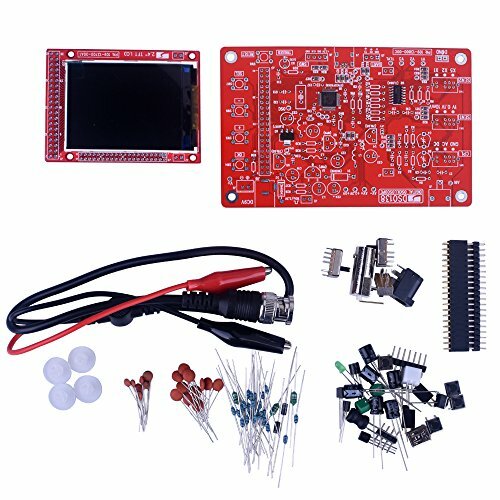 to add different features or develop new applications on the hardware. DSO138 kits are sold in two configurations. One is with all SMD parts pre-soldered (PN: 13803K, replacing 13801K). The other is with only the main IC (the mcu) pre-soldered (PN: 13804K, replacing 13802K). The latter serves also as a SMD soldering training kit. for both configurations The mcu has been pre-programmed and no re-programming required. 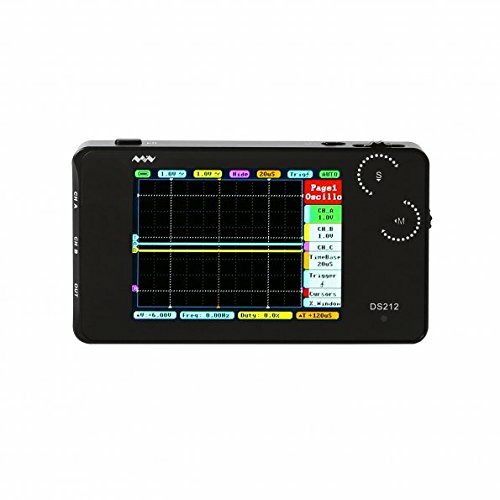 Dso138 2.4" Tft 1msps digital oscilloscope kit for DIY it's easy to solder. This acupuncture probe is a back pinning, piercing and repairable probe. This set includes 5pcs complete acupuncture probes, 2pcs screws, and 20pcs replacement needles. The fine tip can slide past weather pack seals to probe connectors. As acupuncture probes, they are used for piercing the insulation of wires to allow for automotive electrical measurements without causing damage to the wires. They can be used as pin-tip probes while working with small circuit boards. 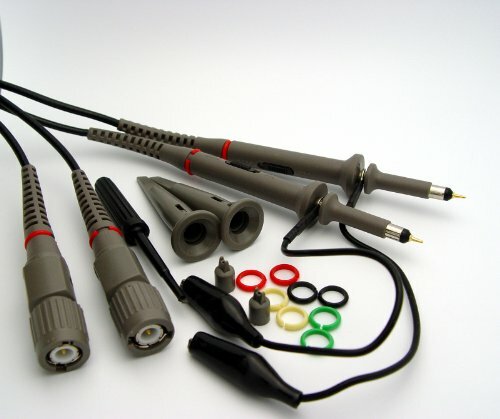 The set of 5 probes also comes with 20 replacement pins, there's no need to replace the whole probe. Its small diameter, extra sharp pin makes it ideal for piercing the insulation on small gauge wires. The new siglent SDS1052DL+ is a new and improved version of siglent's popular sds1052dl. 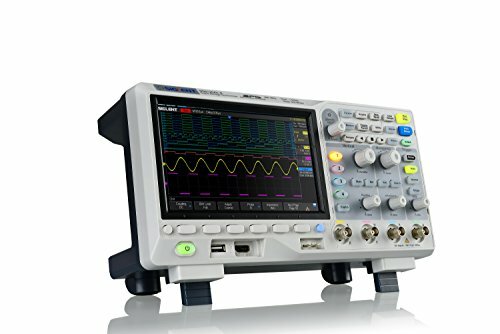 With a new, higher-resolution LCD display and an added lan interface the SDS1052DL+ represents the updated version of one of the most popular 50 MHz oscilloscopes available today. Attenuation: 10:1 and 1:1 switchable (slide switch on the handle), Rise Time: 3.5ns, Tip / head style: 5mm, The Ground Spring makes sure the signal is not oscillating when measuring the high frequency signal due to the shortest distance ground. Extremely Durable Anodized Aluminum Case Features one USB 2.0 port and the Standard USBXITM interface, No Extra Power Cord Needed, Works with a Laptop or Desktop, Compact size, easy to carry, Supported Windows OS: Windows 2000/NT/XP/VISTA/Windows 7, FFT Saves Waveform on screen in TXT, JPG/BMP, MS Excel/Word formats, Saved waveform files can be sent as email attachments, Channel: 2 Channels Bandwidth: 20MHzShot bandwidth: DC to 20MHzInput Impendence: 1Mohm 25pFMax. Sample rate: 48MS/vertical resolution: 8BitGain range: 20mV-5V, 8StepsDC accuracy: 3%Time base range: 1ns-9000s, 39 Steps Vertical adjustable: Yes Input protection: Diode clamping-Y: Yes Trigger Mode: Auto, Normal and Single Trigger Slope: +/-Trigger level adjustable: Yes Trigger Type: Rising edge, falling edge Trigger Source: CH1, CH2Pre/Post trigger: 0-100%Sampling selection: Yes Waveform Display: port/line, waveform average, persistence, intensity Network: Open/Close Vertical mode: CH1, CH2, Dual, ADD Cursor measurement: Yes Math: FFT, addition, subtraction, multiplication, division. 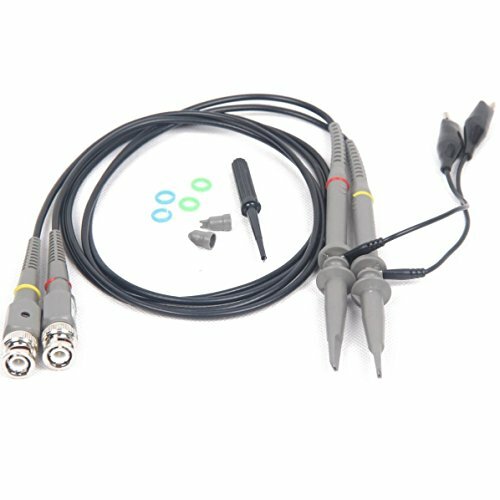 Cursor: Frequency, Voltage Package Contents:1 x PC BASED USB DIGITAL STORAGE OSCILLOSCOPE1 x S/W and Driver CD2 x Clip Probes1 x User Manual On the CD1 x USB cord Please Note: CD and probe are in the invisible layer of the packaging box. Please check the box if you can't find the CD and the probe.